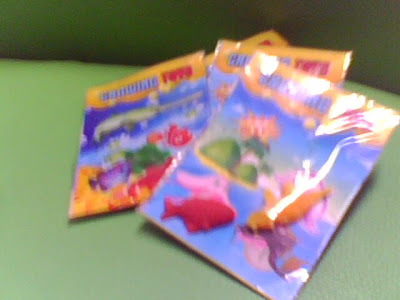 Last Sunday when we went shopping with my mom in a nearby supermarket, I found these cute little things which eventually brought back my childhood memories. Yup, this is one of my favorite toys which I loved to play during my kiddie days! I didn't exactly know what the name of this toy. 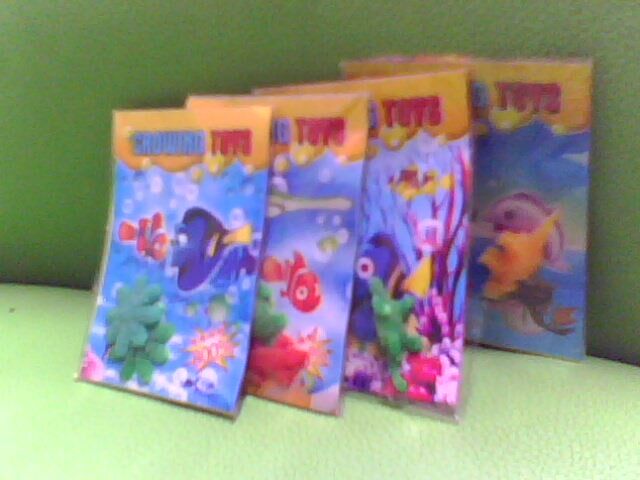 But since this type of toy eventually grow when you put it into water for a couple of days, I just termed it as "Growing Creatures" toy! Remembering back my childhood moments playing with this kind of toy, I eventually bought four plastic of it! Usually this toy is in the form of dinosaurs, crocodiles, or any wild large forms of animals. At first, they were too small! But when you place them in water then wait at least one, two, or three days, they will eventually grow! A former tiny thing then become a big stuff! 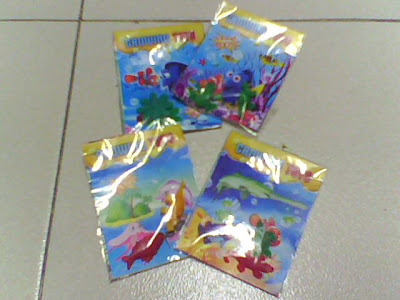 I bought four plastics of this small toy. Each plastic contains two types of creatures. 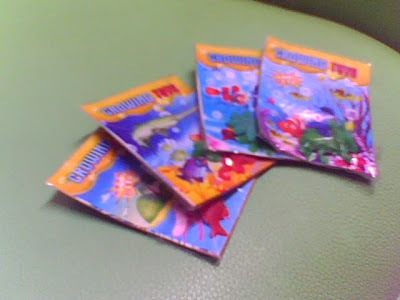 These creatures inside the plastics were fish, dinosaurs, frog, reptile, lizard, and star fish! I'm not yet putting them into water or taking them out from their plastic. Oh, I'm too excited to see them growing!